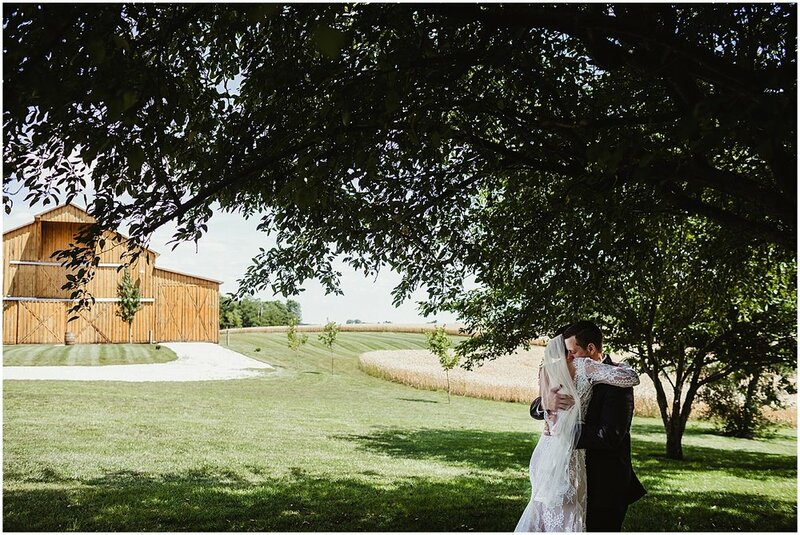 WE LOVE SARA AND ZAN'S RUSTIC BARN WEDDING. 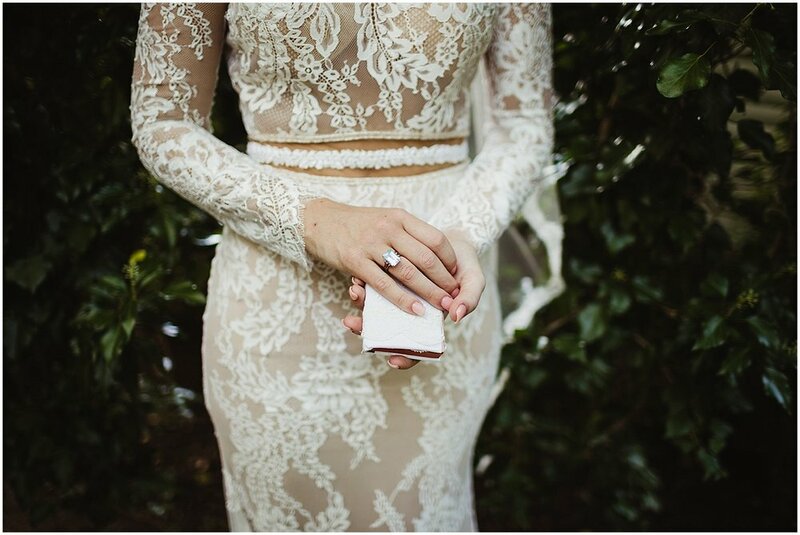 From the bride: I was never really the little girl who dreamed of what her wedding would be like; yet, when Zan and I got engaged I had a very clear image in my mind of what we wanted. 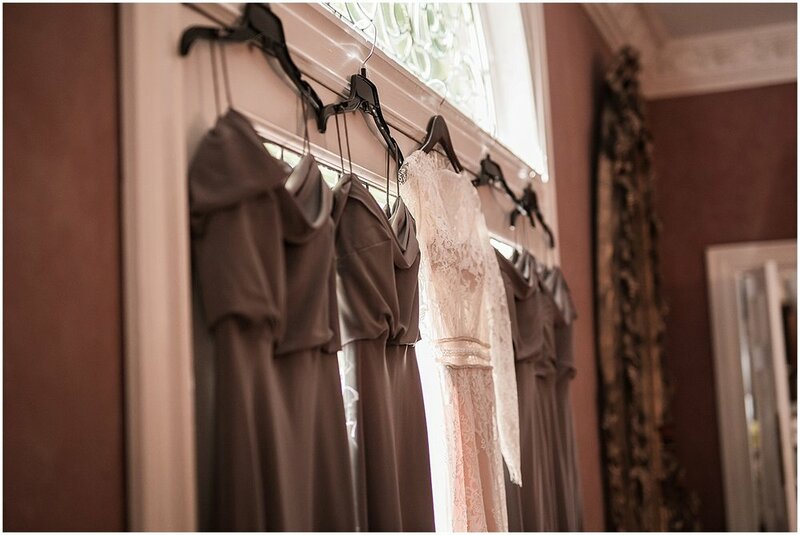 It was so fun afterward to have guests tell us our wedding was "very us." We wanted something that, now, sounds like many contradictions - elegant yet rustic, intimate but with everyone close to us, Southern traditional with some eclectic touches. When we settled on the date I knew it had to be an evening wedding - I hate being hot! It ended up being a quite warm June Kentucky evening, but it was perfect nonetheless. I am a lover of all things neutral with a little bit of metallic mixed in so we focused on using grays and golds in our designs. 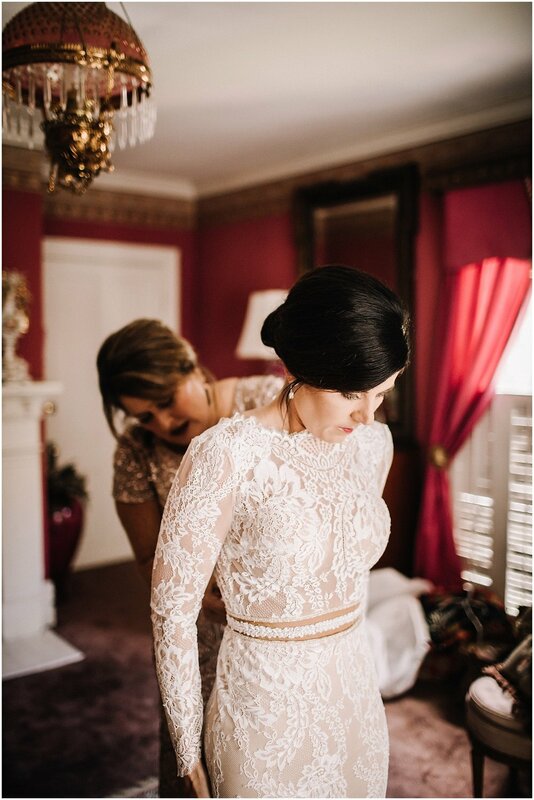 My wedding dress very much reminded me of my Grandmother's wedding dress and was very formal with its long sleeves and slim silhouette so we chose Jenny Yoo bridesmaids dresses that complemented that classic and elegant style. 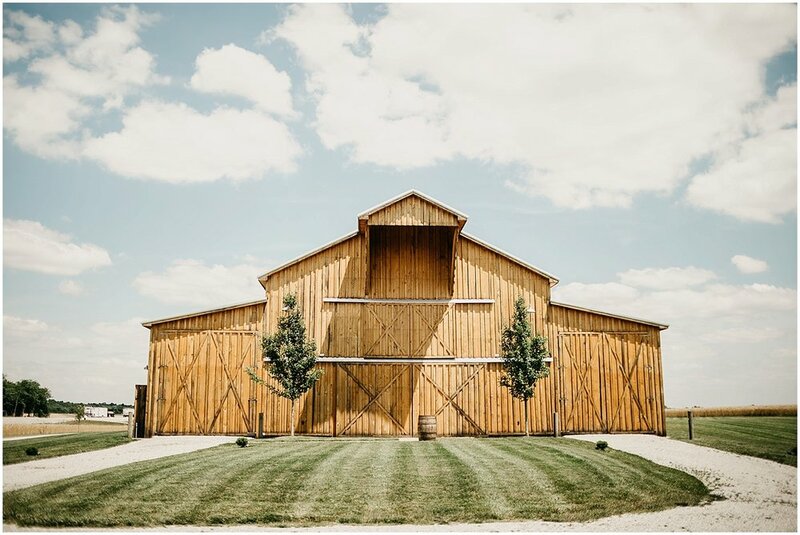 We chose our venue because it felt so "us" - it was a barn but not just any barn. With both of us growing up on farms, it was a barn much nicer than either of us were used to with its concrete floor, hanging lights, and indoor restrooms. In order to make sure we captured the elegant feeling we were going for my parents found gorgeous light fixtures that we then accented with vintage crystals my mom found on Etsy to make our own chandeliers that we had hung the day prior to the wedding. We did many of the details ourselves from the gold and gray framed table numbers to the table signs to the flower wall to the large gold frame with the seating details for dinner. I don't even know how many pieces of gray card-stock and gold paint pens I went through in perfecting my lettering. My parents made the flower wall using my brother's old baseball pitching net frame. At 8ft x 8ft it was stunning and provided the perfect 'selfie station' for our guests. 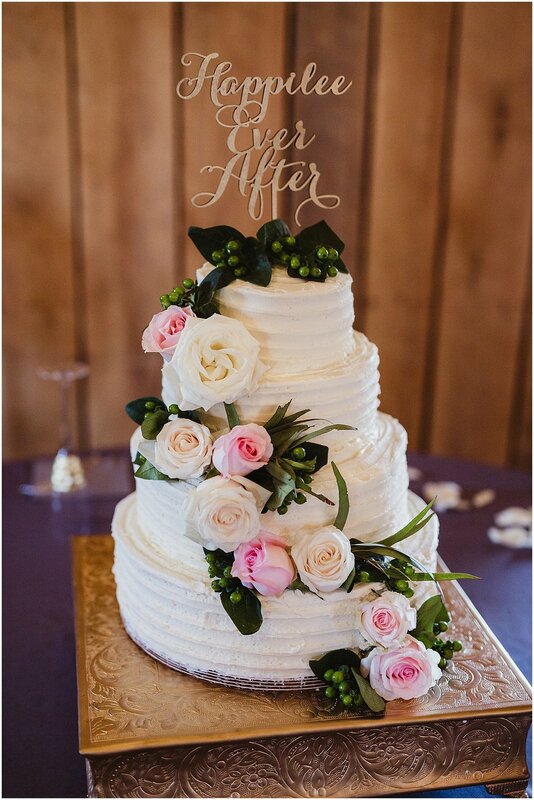 We wanted to serve a dinner that we would want to eat ourselves so we used a local caterer that served her famous roast beef and fried chicken, yummy vegetables and of course, we had a delicious four-tier (Italian creme) cake for everyone to enjoy. Because we weren't living in Logan County at the time of our wedding, we hired a local wedding/event planner to help us get some of the details ironed out. She also served as our florists and took my ideas to purchase our flowers and create all of our arrangements. The boutonnieres featured simple but beautiful succulents and the bouquets were a mixture of blush and white blooming flowers featuring peonies and hydrangeas. We walked down the aisle to traditional wedding music and had a very short and simple ceremony using traditional vows with a reading of 1 Corinthians 4:13. The ceremony was officiated by my lifelong preacher, which is now the church my husband and I attend since we've moved back to my hometown. He got so flustered in reading us our vows that he lost his place and I had to remind him of what part came next - a memory we will always laugh about and cherish as being one of the highlights of our ceremony. 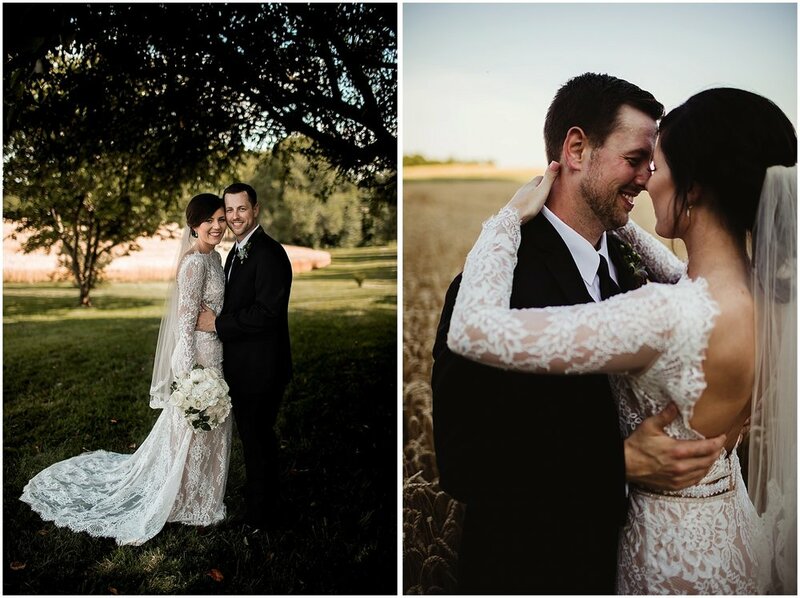 My favorite part of our wedding day was probably right after the ceremony when the photographer took my husband and I away to a nearby field to get a few last minute pictures. Anyone that knows me knows that I am not fond of having my picture taken nor having all of the attention on me so you can imagine all of the pictures leading up to our ceremony and feeling everyone's eyes on me during the wedding were not some of my favorite things. 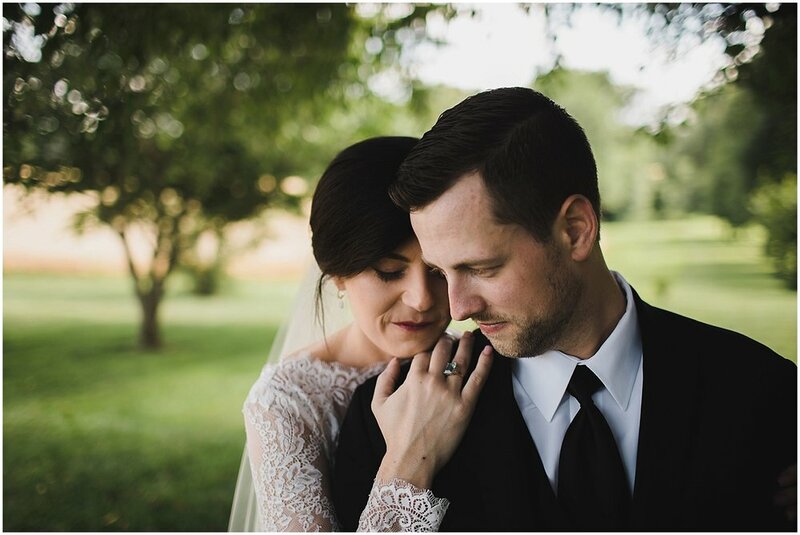 However, once everything was over when it was just my husband and I and our photographers and videographers in the neighboring field we were both able to breathe and just enjoy the rest of the evening with all those that we held dearest. And most importantly, we got to know we were officially married! Another highlight of our wedding day was that night while we were driving to Nashville before catching our flight to Jamaica the next morning - we got to finally enjoy some of our favors...boxes of Krispy=Kreme donuts (my husband and my favorite). 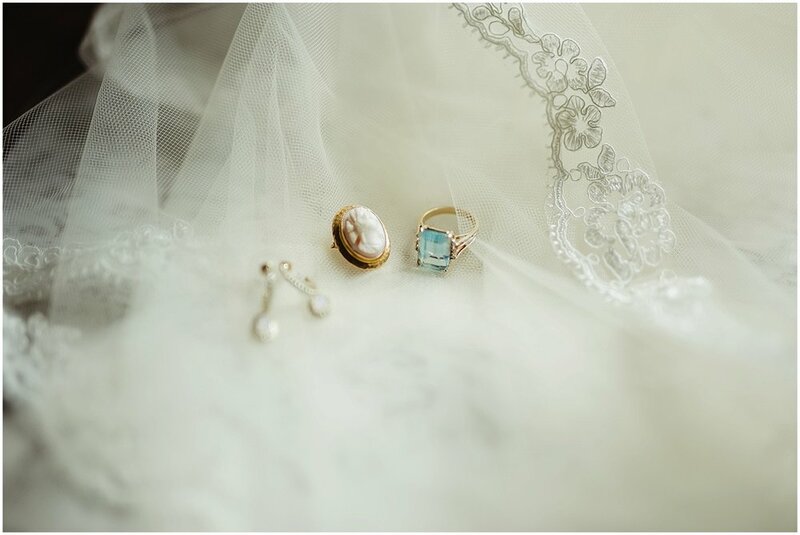 Another important memory for me was being able to wear my paternal late Grandmother's blue topaz ring and my maternal late great Grandmother's cameo on my bouquet (also worn by my maternal Grandmother and my mother at their weddings). The best advice we were given is the same advice I would give someone else - expect something to go wrong, and know that it is all going to be just fine.